Our projects in Brazil, Costa Rica, Ecuador, Guyana, Panama, and Peru support land protection and monitoring and natural resource management. 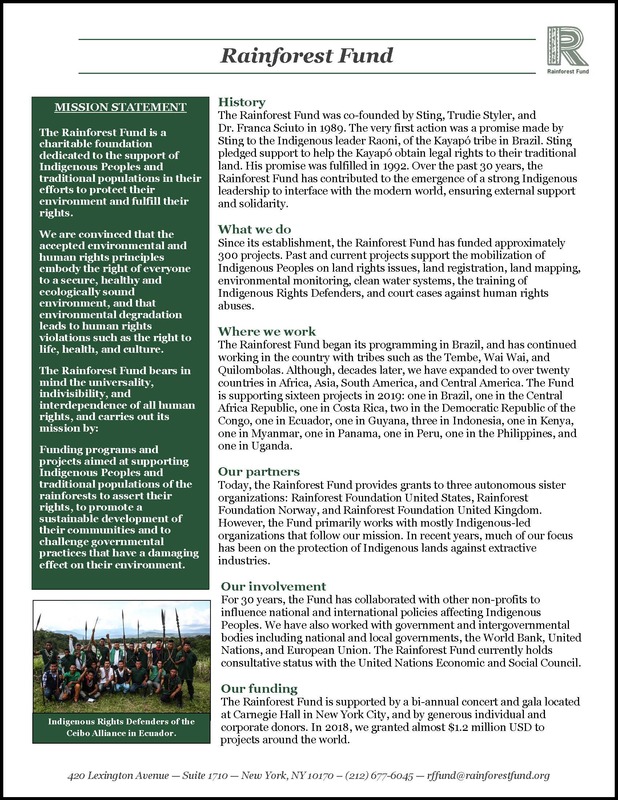 The Rainforest Fund has promoted the creation of the Indigenous Rights Defenders program at a time when governments, especially in Brazil, have targeted Indigenous Peoples’ rights which were acquired in the past through constant struggles. The focus of this project is to provide workshops and training to strengthen the Indigenous Rights Defenders program led by the Equipe de Conservacao de Amazonia. The program involves 4 Indigenous communities: the Tembe, the Wai Wai, the Surui and Cinta Larga communities, and a fifth, the neighboring Afro-descendant communities, the Quilimbolas from the Southwestern Amazon. The Bribri Indigenous People have been successful in their move to alert the UN Special Rapporteur on their situation in asking the application of national laws and for non-Indigenous Peoples to be expelled from their territory; and preparing a submission to the Inter-American Commission on Human Rights and the United Nations Committee on the Elimination of Racial Discrimination. In 2019, the Bribri will continue their work defending their land and monitoring illegal activities by outsiders in their territory, planting local plant species, and working with youth to educate them on their native language and culture. This project is presented by the Indigenous-led Ceibo Alianza, formed as a result of another Rainforest Fund-supported project. Ceibo achieved a notable success last year when their work supported a provincial court’s landmark ruling to nullify all 52 goldmining concessions that were imposed on Kofan territory without their consent. In 2019, the project will focus on blocking a gold rush on ancestral property, halting oil auctioning on native land, demanding protection for Indigenous Peoples, removing barriers to Indigenous land titles, and recovering rights to stolen Indigenous land. They will also continue expanding to cross-border communities, integrating Indigenous Rights Defenders from Peru. This project is located in Paramakatoi, situated in the North Pakaraimas, home to the Patamona and Macushi peoples. Nine Indigenous communities are vulnerable to a range of threats: expansion of gold and diamond mining, forest concessions, mega-farms, and national parks expansion; all with dire consequences for the peoples, their rights, and the economic scarcity. This year, the North Pakaraimas District Council will be continuing their initiative to map the Patamona and Macushi ancestral territory, validate the territory’s boundaries with communities, develop an advocacy strategy, and submit a territorial proposal to the government. 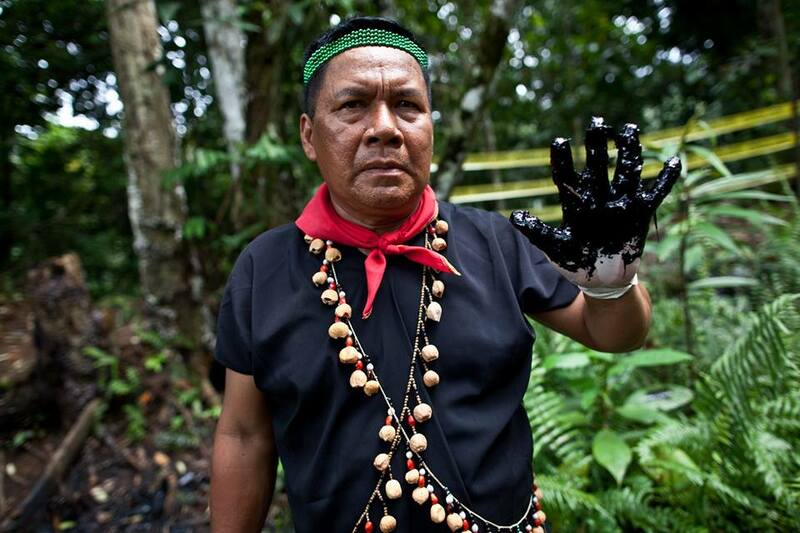 The Tula territory, the ancestral land of the Guna people, has not been recognized by the government of Panama. This project aims at invoking the Law 72/2008 for the titling of their collective land, and preparing a proposal for the title through GIS technology. 2019 is a critical year for this project as the Guna’s work from previous years will be finalized into a territorial land use plan which will include studies, agreements with neighboring communities, mapping, and preliminary zoning. 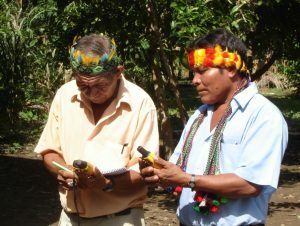 Indigenous men in Peru learning GPS techniques. 2019 aims to strengthen Peru’s Regional Organization of the People of the Eastern Amazon (ORPIO), a representative organization of the Indigenous Peoples and more than 340 native communities of Loreto, Peru. ORPIO is focusing on advocating for the land rights of the Indigenous People of Loreto by advancing the role of its new Indigenous technological “hub”, or the Information and Territorial Planning Center of ORPIO (CITPO), to monitor and respond to communities that are at risk to illegal logging and usurpation of territory.